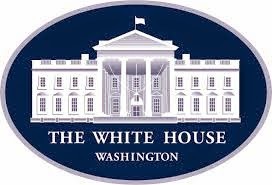 The White House released a Fact Sheet on last week's Energy Datapalooza, that featured the formal launch of the AZGS-built and managed National Geothermal Data System, by Energy Secretary Ernest Moniz. The President's Science Advisor,Dr. John Holdren and Secretary Moniz blogged about the event -- and below is the Fact Sheet: Harnessing the Power of Data for a Clean, Secure, and Reliable Energy Future. In addition, you can watch the full video of the event on YouTube, and check out a photo gallery on Flickr. Open geothermal data for scientists and industry: In response to industry demand, the Energy Department supported in the Recovery Act the creation of a National Geothermal Data System. Today, the Department of Energy is launching this resource that contains enough raw geoscience data to pinpoint elusive sweet spots of geothermal energy deep in the earth, enabling researchers and commercial developers to find the most promising areas for geothermal energy. Access to this data will reduce costs and risks of geothermal electricity production and, in turn, accelerate its deployment.